Kheer is a rich and healthy Indian pudding made from milk and rice. 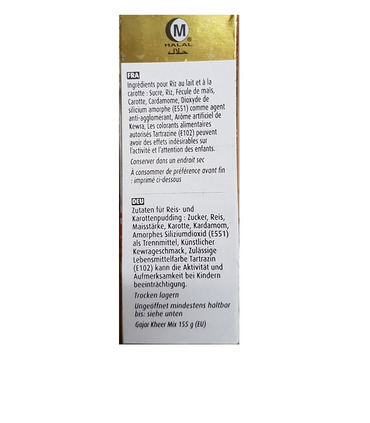 It’s thick and creamy with dry fruits and saffron. It is served cold in summers and sometimes warm in winters. A true feast for the palate! 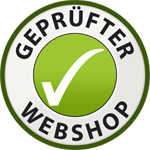 Method 1 1. 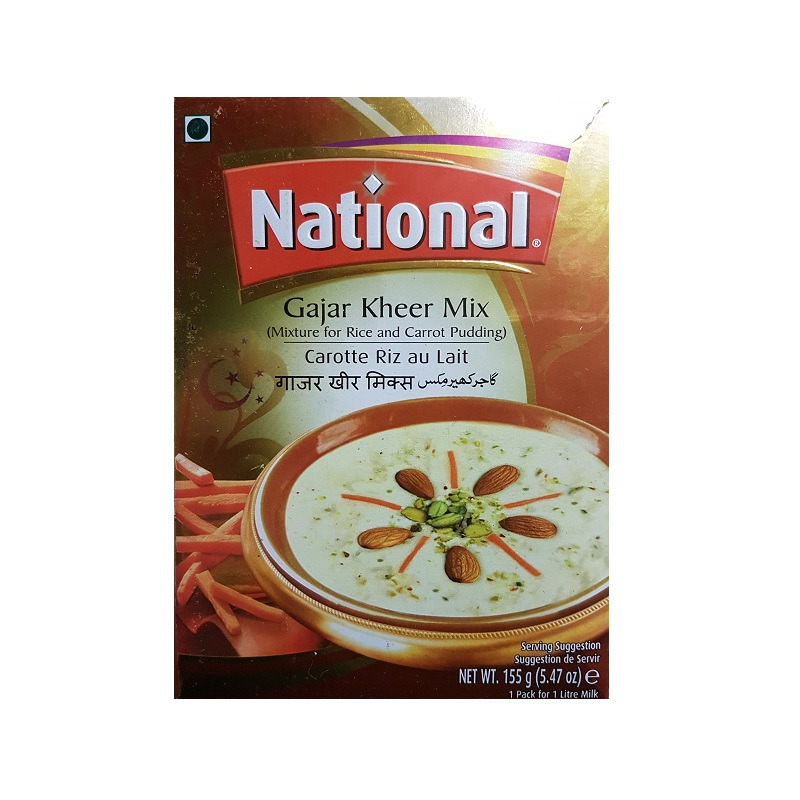 Add National Kheer mix in milk and cook for 15-20 minutes. Stir frequently. 2. When the mixture thickens, remove and allow it to cool. Method 2: Kheer Khas 1. Heat 2 litres of milk on low heat for 1-2 hours or until its volume is reduced to half. Stir frequently. 2. Add Shan Kheer mix and cook on low heat for 15-20 minutes. Serve cold. 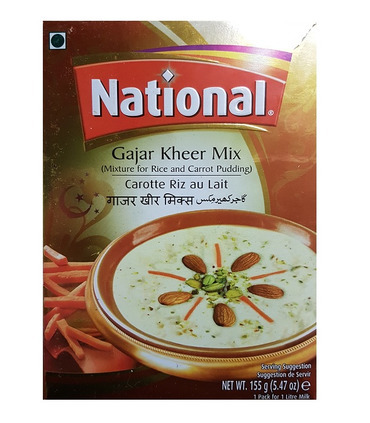 Lauki ki Kheer Recipe 1. Heat 2 litres of milk on low heat for 1-2 hours or until its volume is reduced to half. 2. 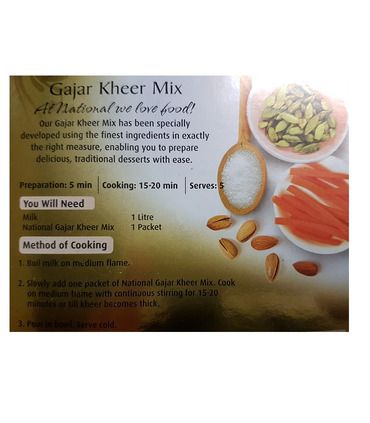 Add National Kheer mix and cook on low heat for 15-20 minutes. Stir frequently. 3. When the mixture thickens, add ½ cup boiled, shredded Lauki and cook for 10 minutes. 4. Remove from heat and mix ½ cup fresh cream in it. Serve cold. Kheer is a rich and healthy Indian pudding made from milk and rice. 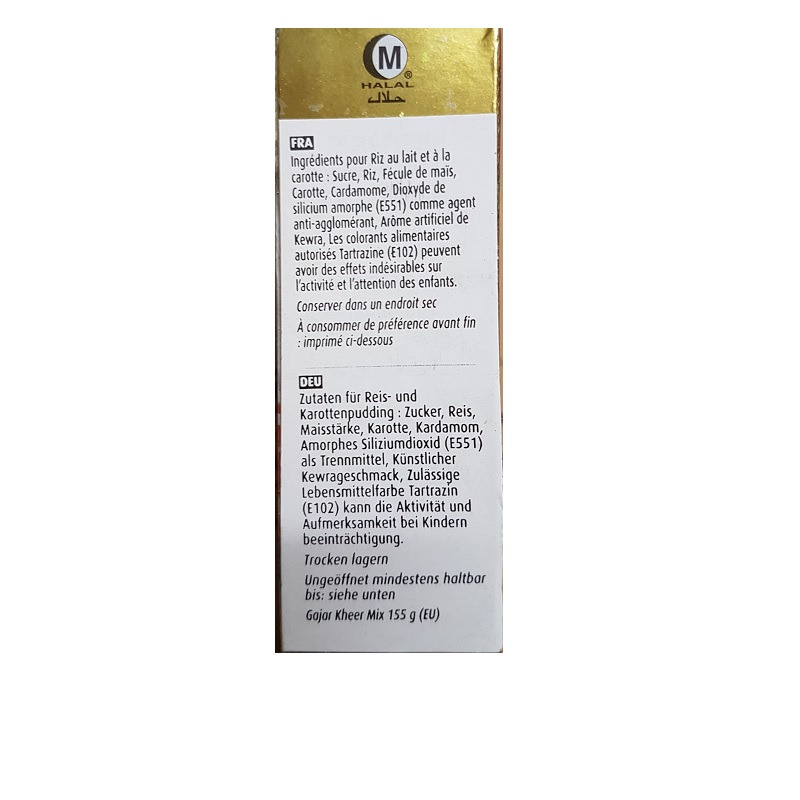 It’s thick and creamy with dry fruits and saffron. It is served cold in summers and sometimes warm in winters. A true feast for the palate! 1. 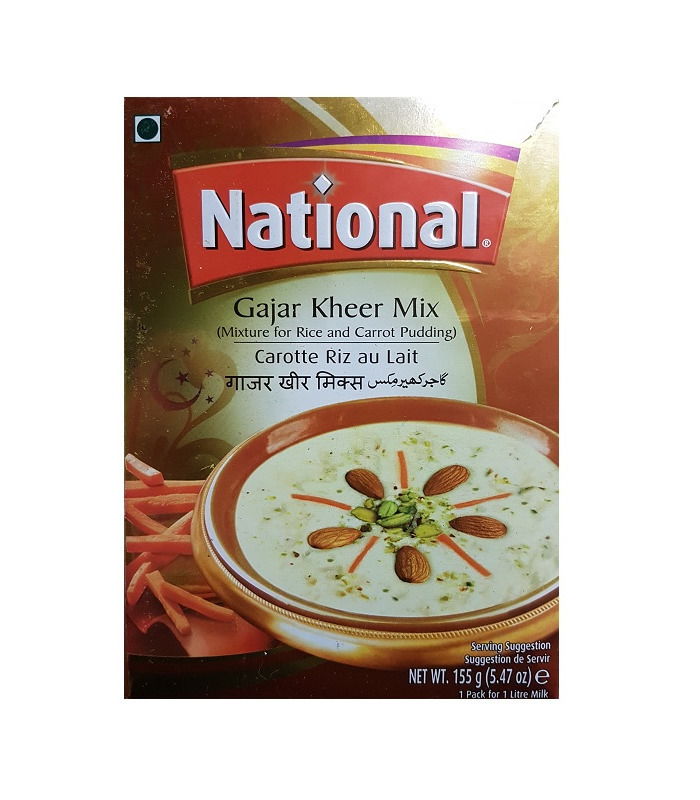 Add National Kheer mix in milk and cook for 15-20 minutes. Stir frequently. 2. When the mixture thickens, remove and allow it to cool. 1. Heat 2 litres of milk on low heat for 1-2 hours or until its volume is reduced to half. Stir frequently. 2. Add Shan Kheer mix and cook on low heat for 15-20 minutes. Serve cold. 1. Heat 2 litres of milk on low heat for 1-2 hours or until its volume is reduced to half. 2. 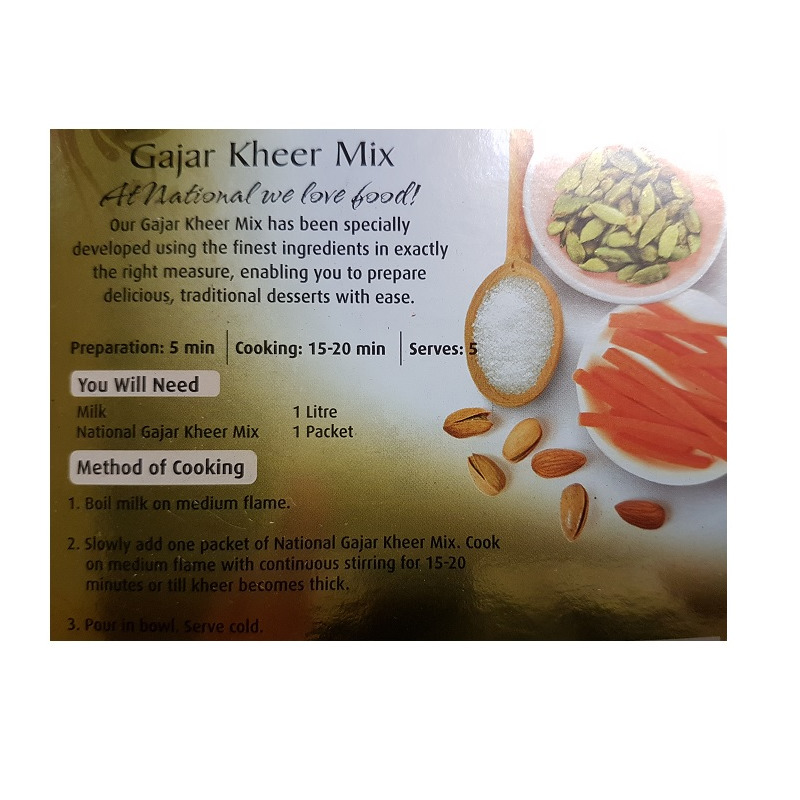 Add National Kheer mix and cook on low heat for 15-20 minutes. Stir frequently. 3. When the mixture thickens, add ½ cup boiled, shredded Lauki and cook for 10 minutes. 4. Remove from heat and mix ½ cup fresh cream in it. Serve cold.